The circle or wheel has been a design for herb gardens for centuries. The wheel is a symbol of life with the spokes being the phases of life, so it was only natural to plant things within a wheel shape. There are several ways to plant an herb wheel, including by color or by use of each herb. 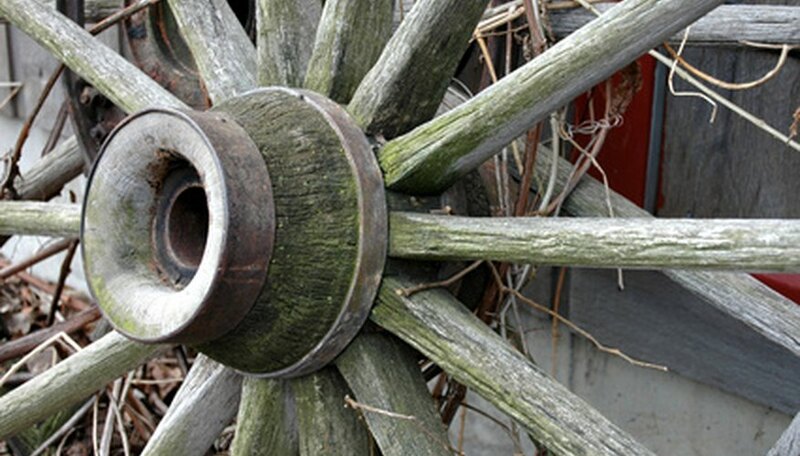 Use natural elements to create the borders of your wheel or purchase an old wagon wheel and plant within the spokes. Find an area that is well drained with no standing water and which receives about 6 hours or more of sunlight per day. Remove grass and weeds and turn the soil over by hand with a shovel or use a Rototiller. Make the soil as pliable and soft as possible by adding compost and peat moss and Rototill again. The soil should be loose before laying the design of the wheel and planting. Stake an actual wagon wheel in the center so that it will not shift after the plants are in. 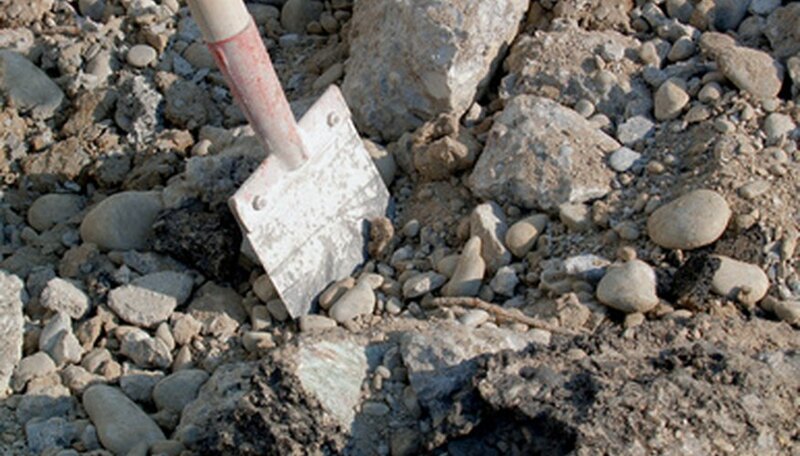 If you are using other materials to create a wheel, pound a large stake in the ground with a hammer in the center of the area. Attach a string long enough to reach to the outer edge of the wheel. Pull the sting taut and walk around the outer edge of the circle, placing stakes at equal intervals. Once the outline of your circle is in place, edge it with stones or other edging material and then outline four or more spokes inside the circle with more stones or edging. Choose the herbs to put in your herb wheel garden. Culinary herbs include basil, chives, marjoram, oregano, parsley, rosemary, sage, tarragon and thyme. 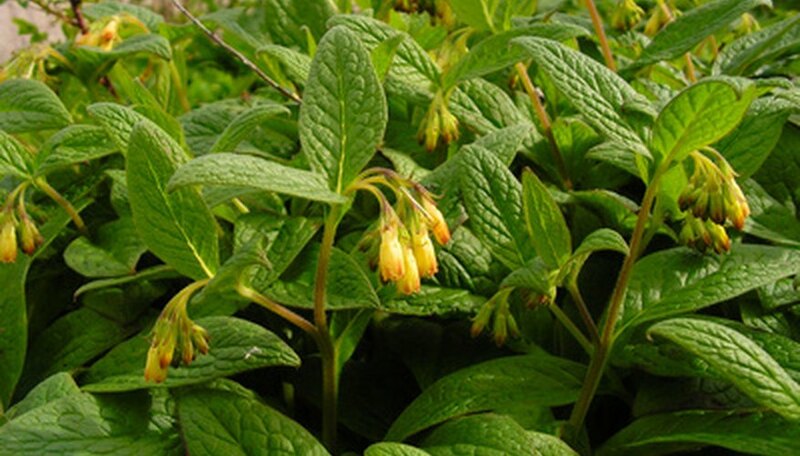 Medicinal herbs include catnip, calendula, St. John’s wort, feverfew, valerian, comfrey and chamomile. Among the fragrant herbs are lavender, lemon balm, lemon thyme, pineapple sage, wormwood, chamomile and scented geranium. The household herbs are lemon verbena, thyme, lemon balm, statis and strawflower. Plant one herb in the smallest area near the center of each wheel section, and then plant two or three herbs in the next row out. At the outer edge you can plant five to seven plants. Once you are done planting, water the herb wheel well and mulch around your plants with straw, pine needles or bark mulch. When using an actual wagon wheel, get the largest one you can find. Make sure to dig it into the soil along with staking it to keep it stable. Water the herbs when the ground gets dry for the first 2 or 3 weeks. Once the roots are established they will not have to be watered as frequently. If you created a wheel without using an actual wagon wheel, divide the circle into four sections; plant culinary herbs in one section, medicinal herbs in another, fragrant herbs in a third and save the fourth for household or cosmetic herbs. Place a statue on the hub of the wheel for extra interest. St. Fiacre, the patron saint of gardeners, is a good choice, or place a garden gnome in the hub for a touch of whimsy. A gazing ball or sundial also works well. Do not overcrowd the herbs in the herb wheel. Do not make the wheel so small you can only fit two or three herbs in each spoke. Water enough to keep the herbs from wilting, but not so much that puddles form in the garden. Do not plant mint in the wheel garden. It is invasive and can choke out all other plants. Instead put it in a pot and place it on the hub of the wheel.